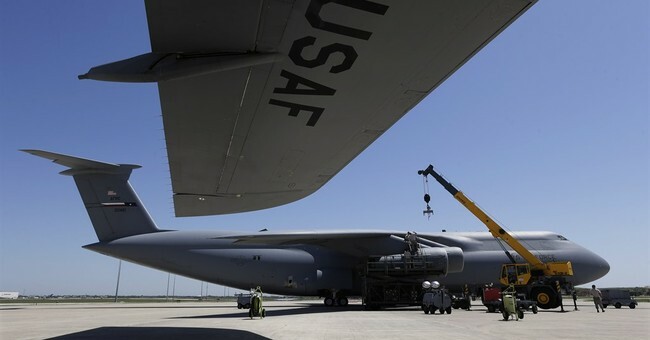 An Air Force spokesperson said personnel are not allowed to proselytize but are free to express their personal religious beliefs so long as it “does not make others uncomfortable.” But a critic pointed out an Air Force officer was told to remove a Bible that was on his desk. That statement has caused alarm among a number of religious liberty groups – including the Chaplain Alliance for Religious Liberty. “What does ‘As long as it does not make others uncomfortable’ mean,” executive director Ron Crews asked Fox News. He said last year an Air Force officer was told he could no longer keep a Bible on his desk because it “may” appear that he was condoning a particular religion. Gohmert said it’s a different U.S. military under President Obama. “That’s pretty tough when your commander in chief puts you on the horn for that dilemma,” he added. Fox News asked for a clarification on the Air Force policy after the Dept. of Defense backtracked on whether or not they allow religious proselytizing and whether military personnel could be at-risk for court-martialing if they share their faith. On Monday, the Dept. of Defense released a statement noting that religious proselytization is not permitted within the department. While religious groups are pleased with the Dept. of Defense clarification – they are troubled by the Air Force position on religion. Daniel Blomberg, with the Becket Fund, told Fox News he was glad to see the Dept. of Defense issue a clarification, but expressed alarm at the Air Force statement. “Our brave fighting men and women should not be reduced to whispering fearfully about their faith by their own government,” he said. Crews said mandating an Air Force officer not extend preferential treatment from one religion is absurd.